How Do I Neutralize an Overpowering Onion Flavor? Juice peeled onions to add concentrated onion flavor to soups and more. 3 How Do I Neutralize an Overpowering Onion Flavor? 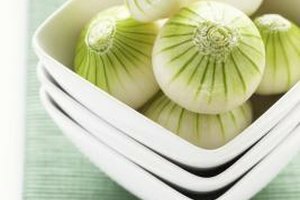 Onion is widely consumed in cuisines throughout the world for its bold, spicy flavor and is regarded in the health world for its immune-boosting benefits. Juice comprises much of the onion, which can be extracted for use in recipes or as part of a vegetable juice drink. A juice extraction machine, or juicer, is the fastest and easiest way to juice an onion, but you can extract the juice without any electrical kitchen appliances. Start introducing onion juice a little at a time, slowly building your way up to a greater tolerance for this pungent produce. Peel the onion, and cut it into pieces small enough to fit inside the juicing machine chute. 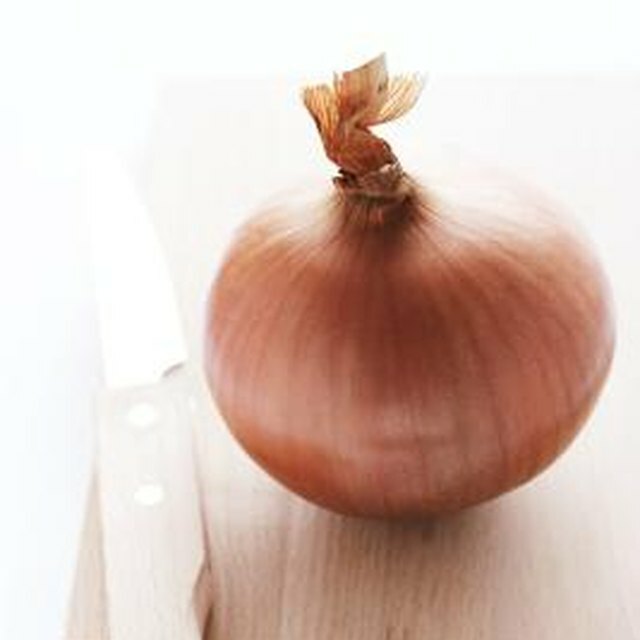 Choose only onions with dry, papery skin and no black marks or bruising. Insert the onion pieces in the chute at the top of the machine. Place a glass or bowl underneath the juicer to catch the juices as they come through the spout. Turn on the juicer and insert the plunger tool on top of the onions. Push down on the plunger to feed the onions through the juicer, catching the juices in the glass or bowl below. Clean the machine thoroughly to remove any stuck-on pieces of pulp, and rid it of the pungent onion odor. Place a box grater inside a clean bowl. Grate the onions into the bowl, using the large grater side. You can grate the onion with a food processor or chop it in a blender, but these appliances aren't required. Allow the grated onion to set in the bowl, covered with a paper towel or plastic wrap, for a few minutes while the juices seep out of onion. Pour off as much of the liquid as possible into a clean bowl while holding the grated onion back with a spoon. Wrap the grated onion in a piece of cheesecloth or a damp paper towel or kitchen towel. If you use a towel, it must be damp because the dry cloth or paper will wick up the onion juice. Squeeze the paper towel over a bowl to extract the remaining juice from the grated onions. If you use a juicing machine and want to extract juices from fruits and vegetables only, juice the fruits first so the onion flavor doesn't affect them. Juice vegetables after the onion to help remove the onion odor and flavor from inside the juicer. As an alternative to squeezing the onions inside a cloth, you can add the grated onion to a strainer with fine wire mesh. Push the onions with the back side of a spoon to squeeze out the juices.